3/3 Georgiyevsky Lane, building 3, Moscow (tel. : +7 495 692-44-59), Metro stations: "Okhotny ryad", "Teatral'naya", "Ploshchad' revolutsii". The fate of the building is amazing: built in 1888 in the very centre of Moscow, it hosted the first city power plant for only a short period of time and after that it was "forgotten". The new reincarnation of the building, as an exhibition hall, is full of different kind of events. In the late 19th century, Moscow was a mix of antiquity and ultra-modernity, rurality and urbanization. The city centre was undergoing one of the most radical transformations in its history; this transformation was characterised by business, science and technology development, democratisation of the society and belief in progress. In 1870s–1890s, the two main applications of architecture, housing and industry, were experiencing a construction boom. Despite that, Moscow remained one of the "darkest" cities in the world. It is enough to present a few numbers in order to prove that Moscow badly needed improvements in the area of street lighting. While in Western Europe artificial lighting already existed in the 16th century, Moscow did not have it until 1730s. In 1882, there were just over 3,000 gas lights in Moscow. Inhabitants of the vast district beyond the Garden Ring were virtually deprived of gas. The issue of electric lighting for Moscow was first raised in 1880 and was related to equipping the square in front of the Cathedral of Christ the Saviour. Despite the fact that the installation of gas lights was discontinued in 1880s, electric lighting had not managed to "take root" in Moscow for a long time and did not play any significant role. Lighting services were being exclusively developed using kerosene lights. A power plant in Gerogiyevsky Lane could solve a part of the problem by providing light to the city centre including Red Square and the Bolshoy Kamenny Bridge. Such was a situation at the time when the Moscow parliament, the Moscow City Duma, commissioned a design of a building for the first Moscow power plant from the architect Vladimir Sher. Scarcity of his biographic data and brevity of his life (died in 1890s) prevents us from appreciating his work at its true worth. Apart from the project mentioned above, we are aware of only several works of him (e.g., the renovation of the Synod Office and the modernisation of the Kremlin Patriarchy Library). He was born in 1850 to the family of the retired Collegiate Secretary Dmirty Sher (1805–1872), a talented architect who dedicated his life to church and religious art in general and to bone carving sculpture in particular. Beautiful iconostases in many Moscow churches were created based on his designs: for example, in the Vysoko-Petrovsky, Znamensky, and Rozhdestvensky Monasteries. Tsar Nicolas I commissioned a bone-carved depiction of Madonna's head from him (currently, kept at the State Hermitage Museum). The Kremlin Palace hosts a wood-carved tsar throne made by him. Having graduated from the Moscow School of Pictorial Art, Sculpture, and Architecture with the Unclassed Artist title, his son Vladimir continued his father's work. By that time, the interest for the national culture had penetrated the society. This shaped Vladimir's preoccupation with the Russian Revival architectural style, which was a trend of the Late Eclecticism and an extreme anti-academic movement. The Russian Revival style had been firmly established in Moscow civil engineering at the end of 1870s. The main principle was that of aesthetic expressiveness. During this period of Eclecticism, everything novel was associated with the "popular" tradition that was believed to represent the Old Russian architectural tradition. The idea of Populism was an attempt to come back to the heritage of the Golden Age of the 15th–18th century Muscovy; this was the leading idea in Moscow of the 19th century and it played a special role in the "renaissance" of the Russian Revival style in architecture and pictorial art. This style was a complex combination of such components as Slavic wooden architecture, Byzantine, Northern (Norwegian), Oriental (Tatar) art and fantasies of Italian masters. One could add "folklerisation" of architecture (especially, of wooden architecture; ironically dubbed the "Ropet style" after the originator, the architect I. Ropet), which had been popular by the late 19th century, and not so intricate patterns of Russian embroidery and Tyrolean woodcarving, which could be applied all over the world. All this put a really hard task in front of Vladimir Sher: he had to avoid imitation and create something new, but related to the old by the way of understanding beauty. Moscow set an example to other cities in the area of public building construction; the first such public buildings were Tretyakov Drive through the Kitai-gorod Wall (by the architect Kaminsky), the Polytechnic Museum (by the architect Monighetti), the Historical Museum (by the architect V. Sherwood), the City Duma (by the architect M. Chichagov), the Upper Trading Rows (now GUM; by the architect A. Pomerantsev), etc. It is important to note that brick and wooden construction techniques were highly developed in Russia, especially in the 17th century. There was no other country where brick architectural elements played such a significant role and gave birth to so many independent forms. Brick techniques as well as construction art in general were so highly developed that later, when Western influence was becoming dominant, Russian masters would manage to use brick to naturally convey forms of the Italian Renaissance as well as Baroque variations. At the same time, the most important task would be accomplished, that of creating forms supplied with constructive, national and historical justification. One could also suppose that the choice of an architectural solution for the facade of the power plant building was influenced by the rich past of the location. Since it was built on the garden area of the former Georgiyevsky Convent, it was dubbed the Georgiyevsky Power Plant. The Georgiyevsky (also known as Yuryevsky or Yegoryevsky, all three names are derived from Russian variants of "George") Convent was founded in the 15th century to commemorate the boyar and voyevoda Yuri Koshkin-Zakharyin at the location of his former estate, by his daughter, Romanova-Koshkina, who was an aunt of Tsaritsa Anastasiya, the first wife of Ivan the Terrible. After the convent had been destroyed by Napoleon's army in 1812, it had never been rebuilt. Many people (Count Nikita Zotov [a childhood tutor of Peter the Great], Field Marshal Buturlin, members of the Troyekurov and Streshnev families, etc.) were buried at the convent. The palaces of the Troyekurovs, Golitsin and Dolgoruky dukes built in the 17th and 18th centuries in the vicinity of the convent entered the annals of Moscow architecture. In the 19th century, the Nobility Hall of the Gentry Assembly, literature and music clubs, etc. were situated nearby. By all means, such an environment raised many difficulties for the architect. However, the harmonisation principle chosen by the architect and the composition methods that characterize the Russian Revival style at least partially allowed to "insert" the building into the existing historical environment. The facade of the building immediately attracts one's attention with the masterly worked-out details. It is neither too homogenous, nor too colourful. The three-part reflection-symmetric frontal composition of the facade is accentuated by the centrally positioned main entrance, gate portals and corner risalits that emphasise the theme set by the main entrance. The uniform rhythm of the decorative windows and piers emphasise the great length of the building. The high roof and little corner towers demonstrate the care for expressiveness of the silhouette and for harmony with the historically shaped spatial system of vertical lines. Here the architect used the method of developing several equally important themes with the same measured rhythms of accents, which was a distinctive feature of the Late Eclecticism as well as of its Russian Revival variant. Immediately after opening, the power plant was equipped with 6 steam boilers and 4 steam engines. By late 1895, the power grid had been around 160 versts (90 miles) long. It is curious that the power plant was for the first time used as an exhibition hall during the 2nd All-Russian Electrical Engineering Conference, on 28th December 1908. At the exhibition, a radio device (then called "wireless telegraphy"; by the Russian scientist A. Popov) made a sensation and attracted many spectators. After the Central Power Plant had been built in Raushskaya Embankment in 1897, the Georgiyevsky Power Plant was shut down, and all the rooms were used as shops and garages, making it the first Moscow bus depot. In modern times, up to 1994, a service station for government cars was situated there. During the short existence of the first power plant, several remarkable events happened. During the coronation of Emperor Nicholas II (1896), magnificent illumination was arranged in Moscow. An eyewitness wrote: "The illumination was magical, faerie, especially the Alexander Gardens with their radiant arcs, etc. The Kremlin was especially beautiful, with its towers covered by rows of diamonds, rubies and topazes. There were waterfalls and fountains of fire and other visual effects." In October of 1995, a new history of the former power plant and garage building starts. On 10th October 1995, at the initiative of the Moscow Mayor Yu. Luzhkov the Moscow government adopted a decree that established the Small Manege State Exhibition Hall (decree no. 824). Later, at the initiative of Luzhkov, the Small Manege was renamed the New Manege. 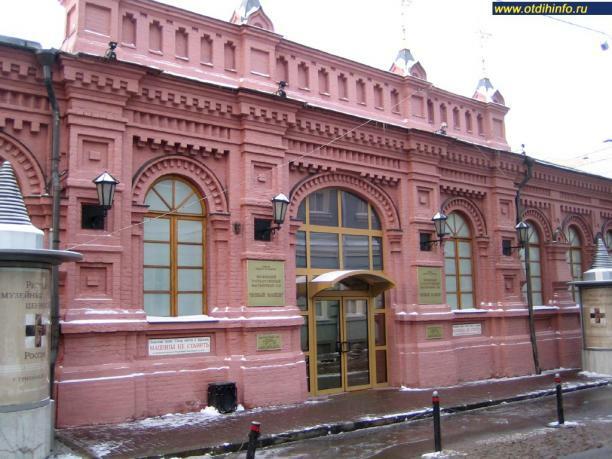 In February of 1996, the exhibition hall was passed under management of the Moscow Committee of Culture. The exhibition hall was ceremonially opened by the Moscow Mayor Yu. Luzhkov, members of the Moscow government and other officials. At the same time, an exhibition of the Meritorious Artist S. Andriyaki was opened at the exhibition hall. The building was reconstructed by the former Department of Engineering Maintenance of the Moscow government headed by A. Matrosov. The reconstruction was designed by the architect Yu. Grigoryev (the team leader, workshop no. 8 of the Mosproyekt-3 state unitary enterprise), the architects I. Bartashevich, Ye. Stepanov and Ye. Shchukin, and the engineers L. Burov and V. Khanzhi. The New Manege is unique in Russia in the sense of its high level of technical equipment and exhibition facilities. It features a Finish-made climate control system, German-made lighting equipment, while its alarm system is made by the well-known Siemens Company. It was this company that was one of the major shareholders of the Society of Electric Lighting that participated in the power plant construction project in 1886. The New Manege building is officially declared an industrial architecture monument and is protected by the state. The arranged facilities allow hosting museum exhibitions as well. Since it was open, the New Manege has hosted hundreds of exhibitions.